';A suspenseful roller-coaster ride. 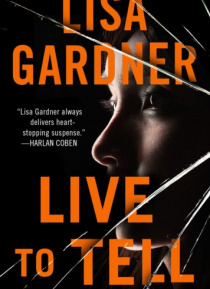 'Karin Slaughter *;';Lisa Gardner always delivers heart-stopping suspense. 'Harlan CobenHe knows everything about youincluding the first place you'll hide.On a warm summer night in one of Boston's working-class neighborhoods, an unthinkable crime has been committed: Four members of a family have been brutally murdered. The fatherand possible suspectnow lies cling… ing to life in the ICU. Murder-suicide? Or something worse? Veteran police detective D. D. Warren is certain of only one thing: There's more to this case than meets the eye.Danielle Burton is a survivor, a dedicated nurse whose passion is to help children at a locked-down pediatric psych ward. But she remains haunted by a family tragedy that shattered her life nearly twenty-five years ago. The dark anniversary is approaching, and when D. D. Warren and her partner show up at the facility, Danielle immediately realizes: It has started again.A devoted mother, Victoria Oliver has a hard time remembering what normalcy is like. But she will do anything to ensure that her troubled son has some semblance of a childhood. She will love him no matter what. Nurture him. Keep him safe. Protect him. Even when the threat comes from within her own house.The lives of these three women unfold and connect in unexpected ways, as sins from the past emergeand stunning secrets reveal just how tightly blood ties can bind. Sometimes the most devastating crimes are the ones closest to home.